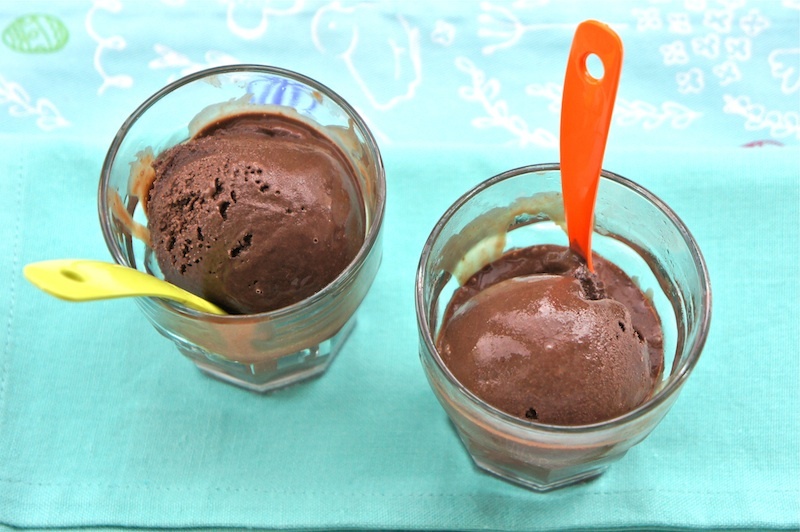 You should have a go at whipping up this lovely Sicilian Chocolate Gelato. There are only 4 ingredients needed for this recipe, namely, milk, sugar, cocoa powder, and cornstarch. Just ensure you use the best cocoa available. Enjoy. In a medium saucepan, bring 2 cups of the milk to a simmer over medium heat. Meanwhile, whisk the remaining 1-cup milk with the sugar, cocoa, and cornstarch in another bowl. Scrape the cocoa mixture into the hot milk. Cook, stirring constantly, until the mixture thickens and bubbles a little at the edges. Then boil gently, stirring, for 2 minutes longer. Scrape into a bowl and let cool. Cover the mixture with plastic wrap placed directly against the surface and chill overnight. Freeze according to the instructions of your ice-cream maker. Because the mixture is slightly thick to begin with, it may take less time than usual to freeze and thicken to the desired consistency. 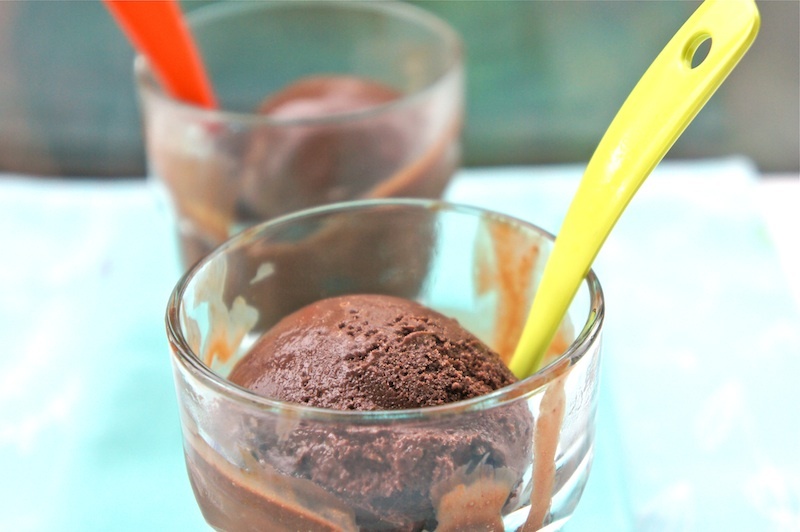 I love chocolate ice cream but too bad I dun have ice cream maker at home. Wow,your gelato looks fantastic. So chocolatey. I’d love for you to submit on of your beautiful photos, and a link to your post, to my new baking photo gallery showcasing the beautiful baking, sweets and desserts. @Jess:Here is the link on "How to make ice cream without a machine". http://www.davidlebovitz.com/2007/07/making-ice-crea-1/ Have fun! Would a little sea salt be good in this? I had some salted caramel gelato this weekend - out of this world! I would love to add a pinch of fleur de sel on top of this. I am going through a major salted chocolate phase! This looks so smooth and delicious! I absolutely love fleur de sel on chocolate. Kate knows, you also need a little caramel to give the fleur de sel that much more punch. Try it Joudie. You can't go wrong. Thank you so much for posting this recipe. I have been thinking about why my ice cream maker has been sitting idle. I can stop with that thought!